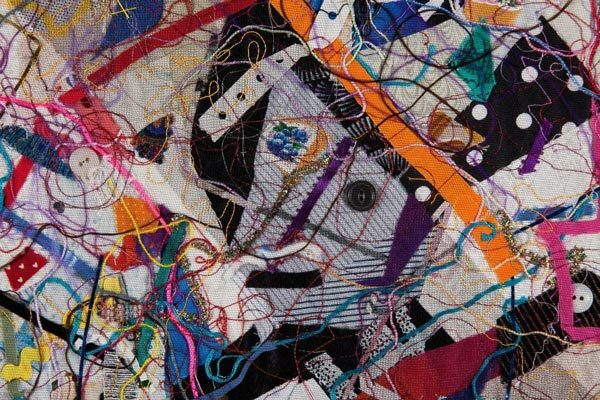 Contemporary fiber artist Pat Kroth explores transparencies and layers through a myriad of found objects collected for their texture, color, or personal significance. These objects include candy wrappers, buttons, jewelry, and toys. Kroth sews the objects and fabric together to create abstract compositions that are equal in both physical and psychological depth.